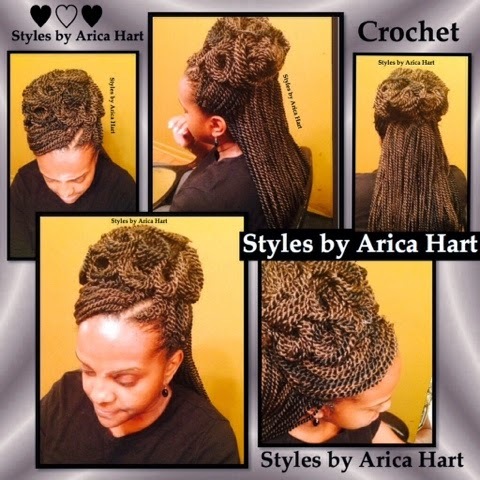 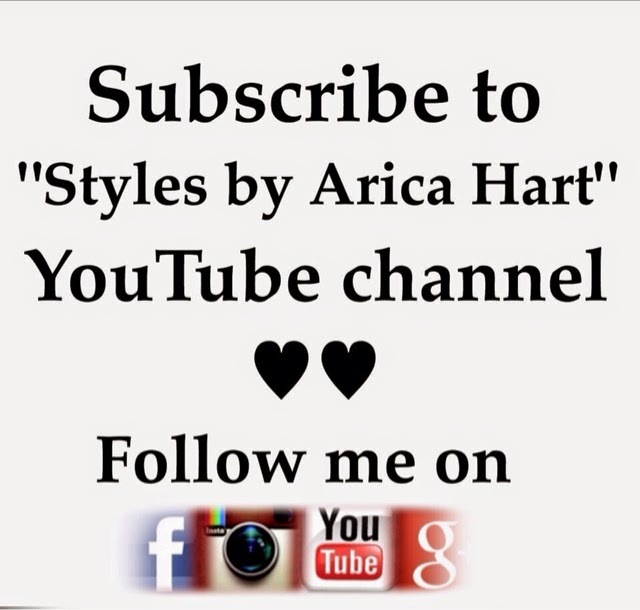 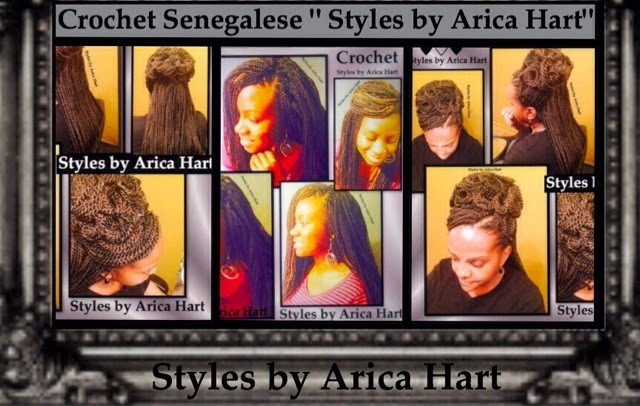 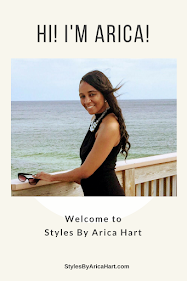 Crochet Senegalese hair styles by Arica Hart are protective hair styles that can be versatile and appealing to the eyes. 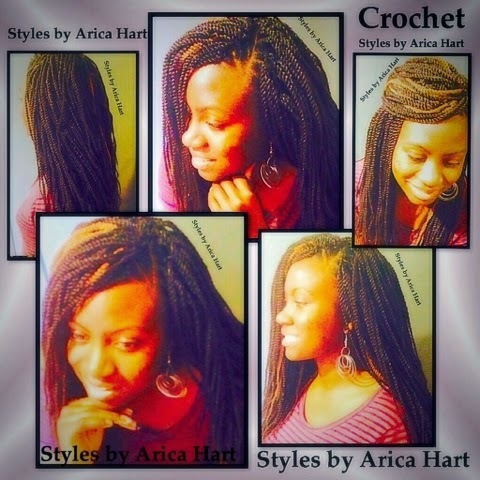 Their are a variety of crochet styles; ranging from, Senegalese, dreads, straw set, and Marley hair. Below are a couple of crochet Senegalese styles by Arica Hart.